All discussions aside about a lame duck president no longer having to bow to political pressure and finally being able to do the right thing, I think the renaming of ex-Mt. McKinley is awesome. It seemed kinda stupid when you think about it that a mountain in Alaska is named for an Ohio politician. The peak has Native American religious significance. 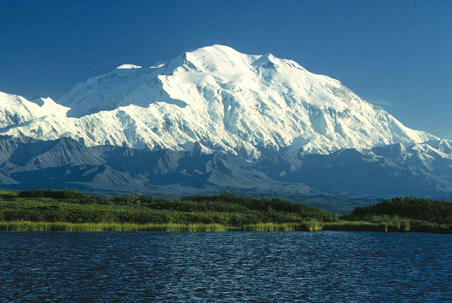 It should be left named Denali if only because thats what the area residents want. Why should people who probably for the most part never visited the site and didn’t have any idea of the history of the Mckinley name until the change, have anything to say about it. Maybe Ohioans can rename the Willard Marsh Wilderness Area. (Who ever he was? Maybe its this guy but I can’t find an Ohio connection. I’m seeing a trend.) Or perhaps they can find a local Native American burial mound to desecrate by naming it Mound Mckinley. The 15% off sale for t-shirts ends soon.